Debate This is all about voicing your opinion on really important things, such as Pepsi Vs. Coke, Nike Vs. Converse, and Twinkies Vs. Ho-Hos. **smile** Okay, so maybe they’re not super important, but they’re at least fun things to jaw about. . . .
Be sure to cast your vote on the poll below. I’ll share the results later. . . .
Now I never watched either of them very closey, but holy cow, I still remember them going head-to-head. How Heather Locklear swooped in and revived the Dynasty show single handedly. Me? I was a Days of our Lives addict for many years….but we’ll save that for another Debate This post! So….Dallas or Dynasty? Debate this….. This entry was posted in Uncategorized and tagged Catch the Rush, Dallas, Debate This, Debate This, Dynasty, Lynn Rush, Paranormal Romance, Soap Operas by Lynn Rush. Bookmark the permalink. And the winner of the poll is….. I didn’t watch either of these but I LOVED Knots Landing and Melrose Place. So, what does that mean? LOL! I demanded to deliver my oldest fast so I could be back in the room to watch Dynasty, that’s how hooked I was. I was back in the room too. Did I watch it? Can’t remember. I didn’t watch these much either. Oh yeah? That’s way cool! Definitely Dallas!!! JR was the man everyone loved to hate, Bobby the man everyone just loved. Loved that show and watched every single episode. JR!! Yep. The very little I watch the show, I think that describes him very well. The man everyone loved to hate!! 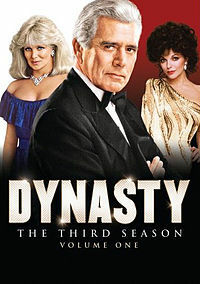 I loved Dynasty, but can barely remember it now. How sad is that. Maybe it was mom that I loved it. lol. I’m ashamed (or should I be proud? Ha!) to admit, I never watched either show. My brain was always stuck on sci-fi and fantasy shows/movies. Reality-based TV never really appealed. I hear ya on the fantasy shows/movies, Kendall!!! 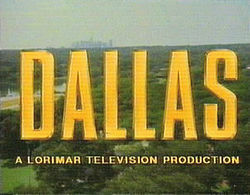 I never got into Dynasty, but I loved Dallas. I had a little crush on Bobby Ewing. 🙂 Happy Monday!